With the immense library of Pinterest wedding ideas, choosing a wedding theme can be overwhelming. Before you start browsing through Pinterest, take a look at some of the more popular themes so you can narrow down your search from the start. Most vintage style weddings make reference to the Victoria era, as well as the ’20s or ’40s. This theme is really expressed through the garments, hair and makeup worn by the bridal party, as well the venue styling, floral and decoration choices. Vintage wedding cars, Jazz bands and cocktail parties can help enhance the Vintage Wedding feel. A DIY wedding means you’re “Doing it Yourself”! This usually means that you may create your own centerpieces, or ceremony décor. Maybe you even challenge yourself to create your own floral bouquets and floral arrangements. 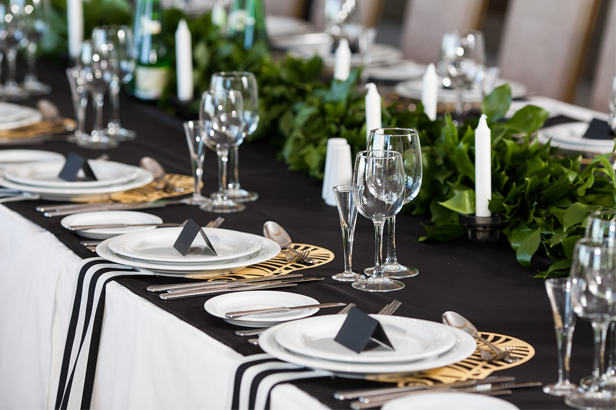 Most couples choose to have a DIY wedding due to budget limitations, or the unwillingness to spend a fortune. 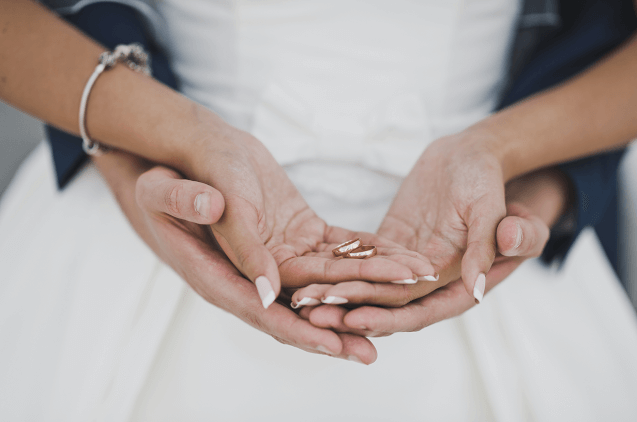 The staff at RentALL Affairs in Feasterville, PA comes across a lot of DIY Brides. 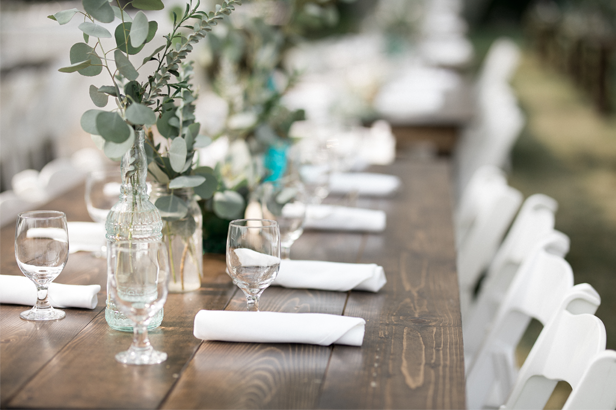 According to Patricia Danaher (a planner at RentALL Affairs), “We love working with DIY Brides because we offer so many décor items that can fit into almost any budget. We respect their budgets and can ensure a successful, one of a kind wedding!”. According to easyweddings.com, a Rustic wedding usually incorporates a country, laid back persona. Rustic wedding usually references the outdoors. Tin, burlap, lace, wine barrels, barns, vineyards, and woods help create a rustic feeling. A rustic wedding is typically relaxed and will lack many of the traditional formalities. According to Bridal Guide , a Modern Wedding should feature sleek lines, dramatic uplighting, and décor dripping in crystals. 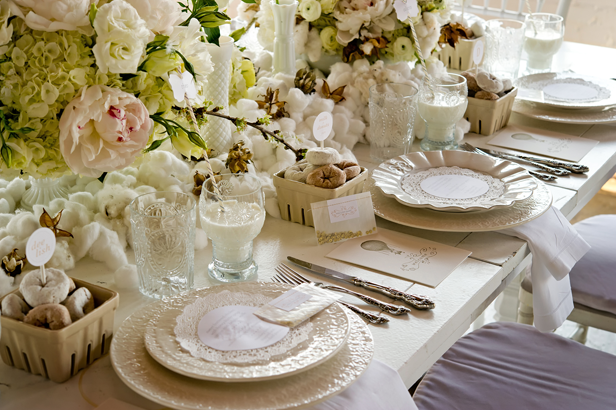 Statement table linens, such as a glitter, sequin, or bold patterns will set the tone for a modern wedding. A Traditional Wedding is just that, traditional. All of the typical formalities such as speeches, garter toss, large bridal parties, dances, and attire will be present. The couple will typically get married with a religious ceremony on a Saturday, followed by photos, a cocktail hour, and reception. 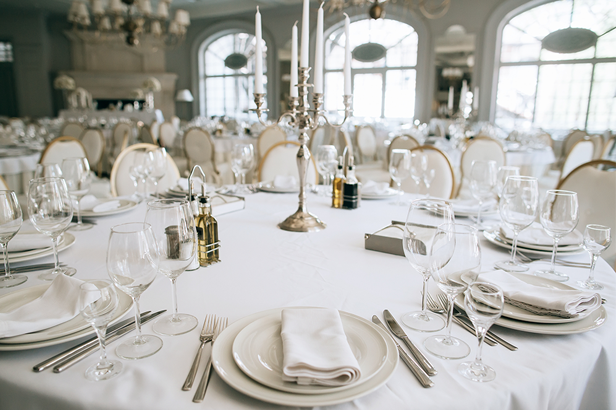 Guests will arrive in formal attire, and be seated in relation to the Bride and Groom. There is something so special about traditional weddings. Everyone knows what to expect, and the timeless memories will last a lifetime. Can a Wedding be on a Weekday? 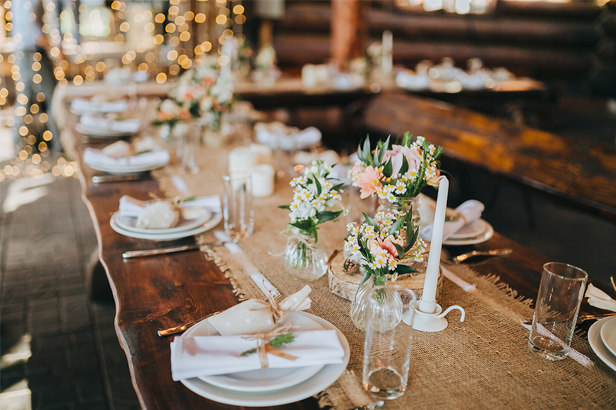 Are Rustic and Barn Weddings on a Downward Trend? Event Planning...How did I get here? Move out of the way annoying, expensive traditions, No Frills brides are on the rise! Cancel the Roses, Green shrubbery is ALL I want!! !